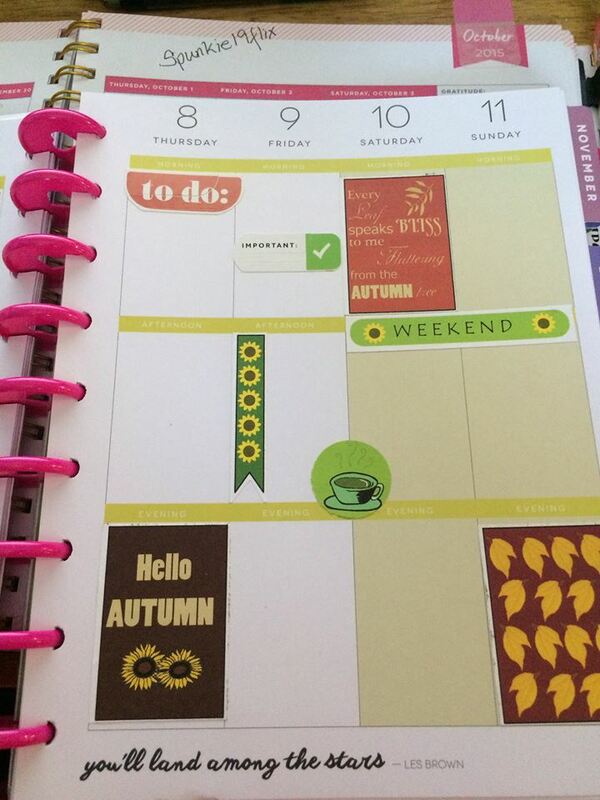 Today I have totally fallen in love with the stickers that I have made. 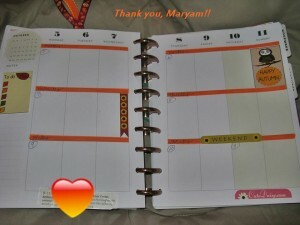 I have decorated these with cute illustrations and also quotations. 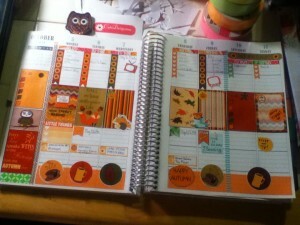 I have totally fallen in love with these Fall colors. 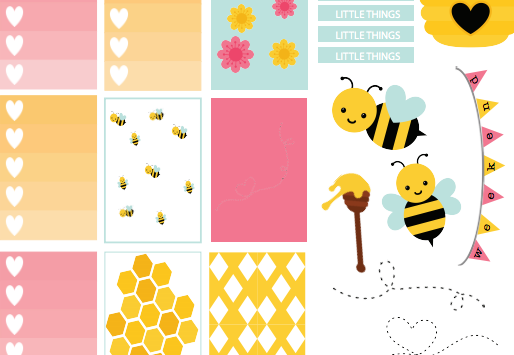 The size of each box of these stickers is 1.5″ x 2.25″. 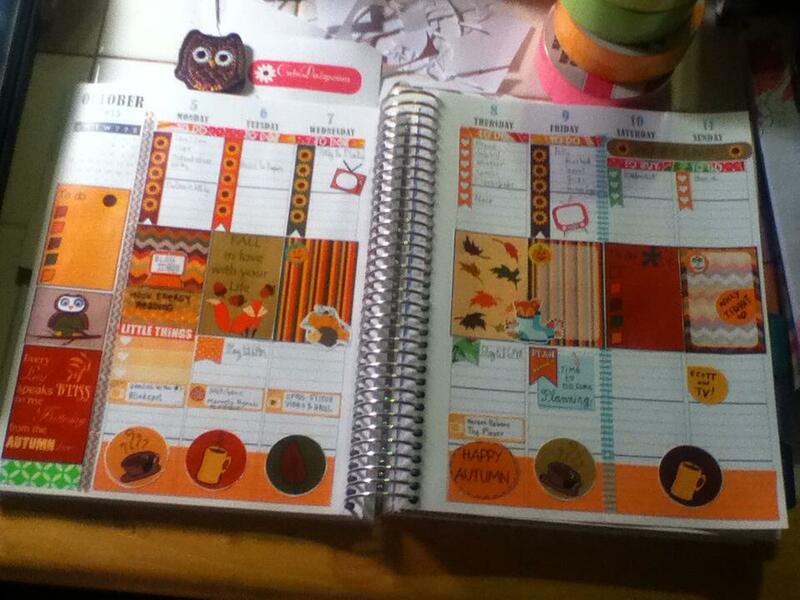 Click here to download the PDF version of these fall themed planner sticker’s. Do not scale or resize these to get the best results. The colors may vary due to the difference between different monitors, printers and inks. 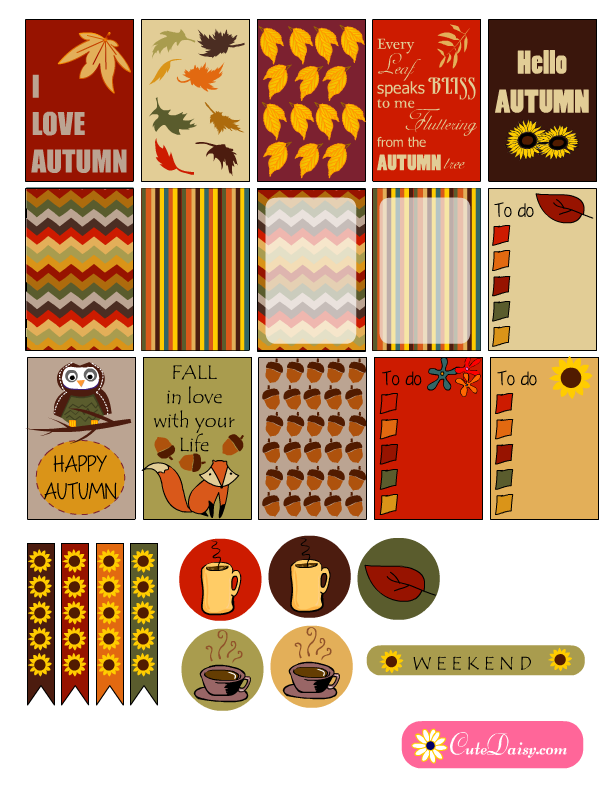 Here is a beautiful planner of Diana Darlene Jennings with these free printable fall themed planner sampler stickers. 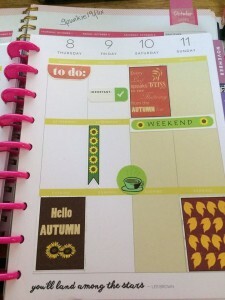 This is how Sylvia Ocasio Melendez has beautifully used these stickers in her Happy Planner. 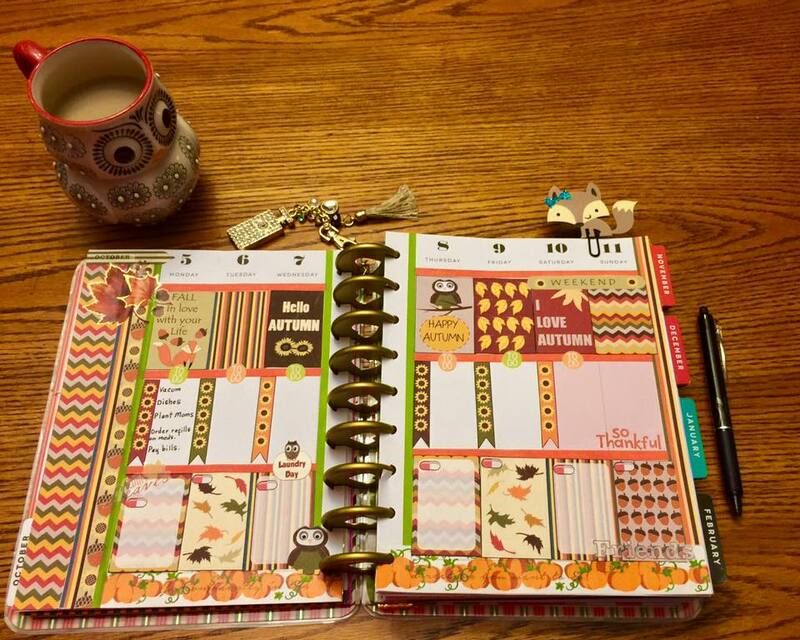 Lynn Smallwood and Gail Lampers also started using these in their planners. 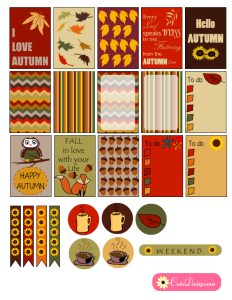 Here is a video by A Mug Full Of Whine that I have found on youtube and it has also used these fall themed stickers and washi tapes. 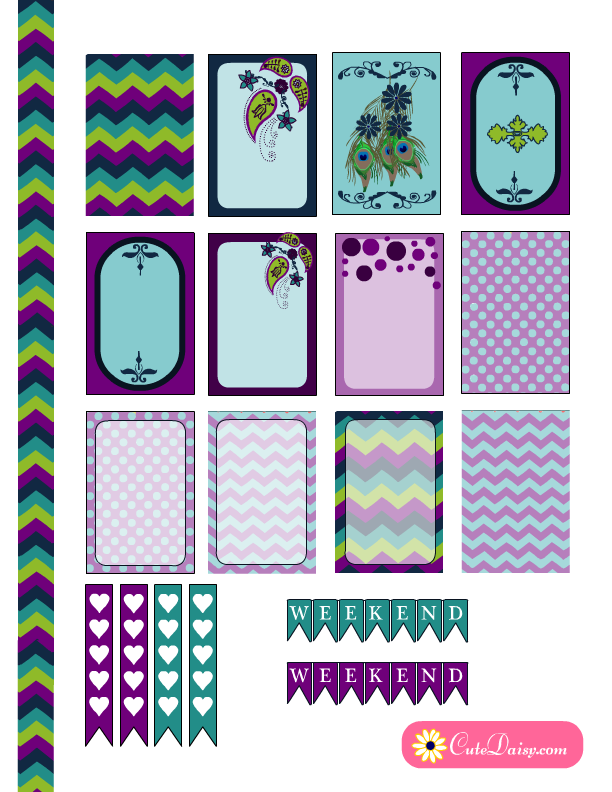 ‎You can join my facebook group and request if you are looking for some specific type of printables. I do not promise that I will always fulfil your requests for free printables but it will help me too as I am also looking for the ideas. 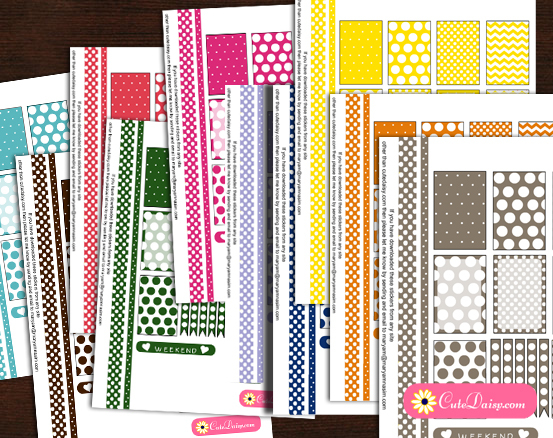 Thank you for making these available to all…love, love, love your printables!!!! These are so lovely! Thank you so much for sharing your time & talent! It is very much appreciated. Love these! Thank you very much for sharing your time and talent! I agree! 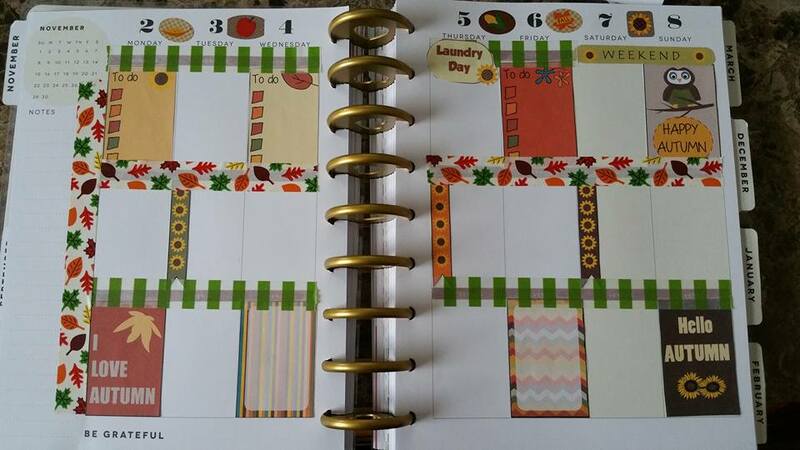 Your printables are the best that I have found! Your time and talent are very much appreciated! Thank you! Such lovely stickers!!!! I downloaded as soon as I saw them and have one in my planner already 🙂 Thanks for posting these!!!! Thank you so much! Absolutely Beautiful!! Thank you so much! These are beutiful but mine keeps printing out all pink. Am I doing something wrong? Thank you, please check the ink levels in your toner. You are might be out of some color. So great! Thanks a lot for your creativity!